At Unger, the window cleaning industry is both where the company started and where we continue to be a world leader. For the past 50 years, we have created tools professionals trust to clean and maintain facilities across the globe. 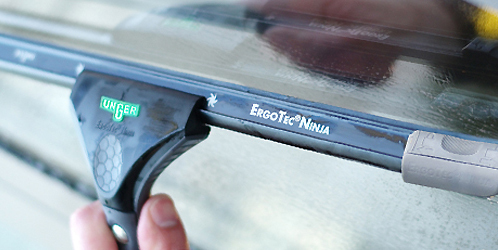 We continue to innovate to enable faster, safer and more efficient window cleaning tools. 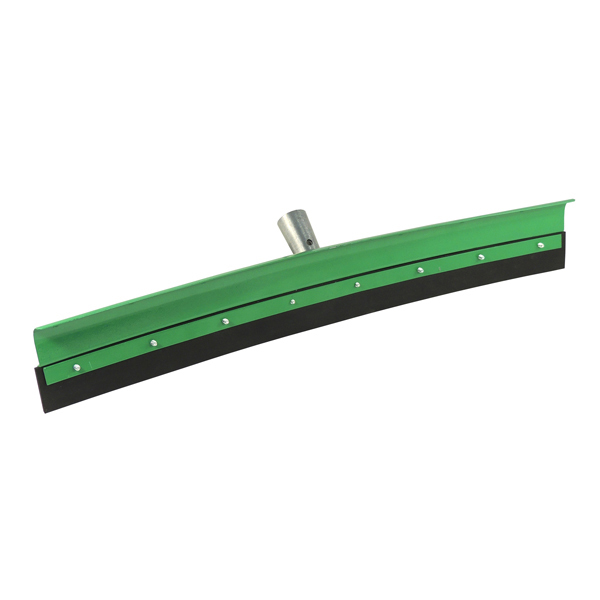 Whether you need to clean glass, floors, or griddles, Unger offers a huge variety of ergonomically designed cleaning squeegees, scrapers, and washers. Select from our diverse selection of classic brass squeegees, the innovative line of ErgoTec Ninja tools, washer/squeegee combinations or multi-surface scrapers. Our handles and pole designs eliminate unnecessary movement and height dangers while increasing speed and efficiency. Unger remains committed to providing tools designed to enhance the working conditions of all window maintenance professionals, no matter how frequent the use. 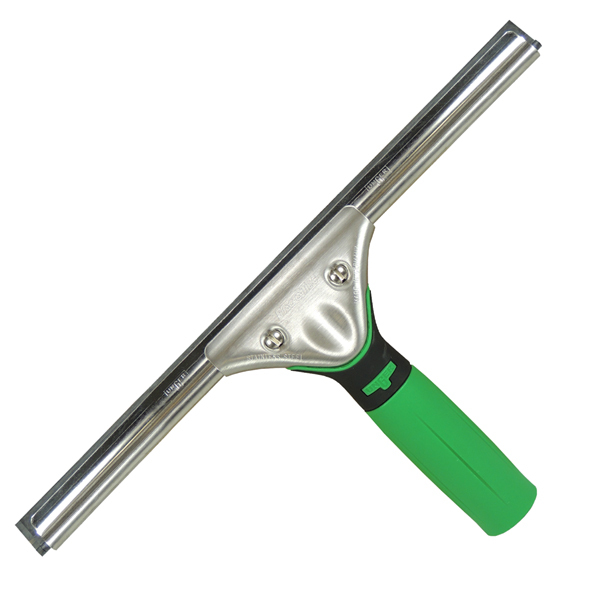 Not an ordinary window cleaning squeegee, Unger's squeegees deliver a rapid, thorough cleaning experience. 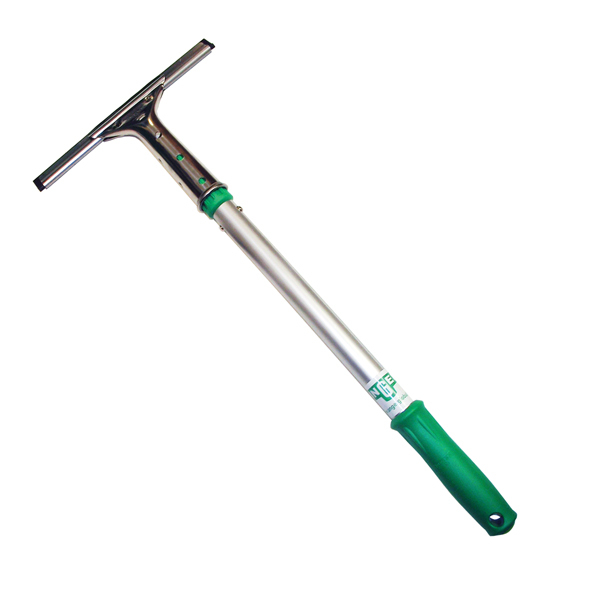 Lighter weight yet stronger than brass, they clean any smooth, flat surface and feature a fast-lock rubber grip handle that can attach to any of Unger's telescopic poles for high access windows cleaning. Unger's industrial floor squeegee product line includes a variety of squeegee types to meet the specific needs of your job. Whether you need to clean and dry as part of routine floor cleaning or tackle a larger job that requires a heavy-duty squeegee that can move up to 2x more than the competition, our variety of floor squeegees ensure you have the right tool for the job. 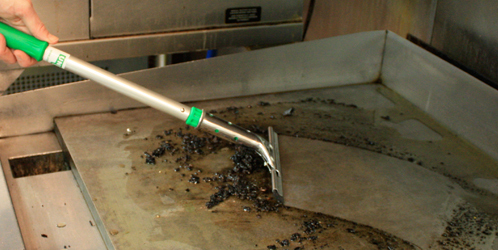 For maintaining pristine cooking surfaces, Unger’s food service cleaning tools include high heat grill squeegees. Complemented by our extendable poles, kitchen staff can hand clean kitchen hoods and perform high access cleaning to ensure the kitchen adheres to the highest cleaning and safety regulations. Unger has all the cleaning tools you need to keep floors sparkling clean. Whatever your cleaning project, you'll find the right floor squeegee for the job. 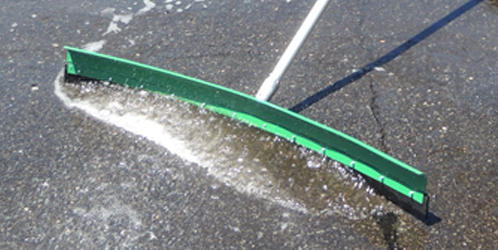 PushPull squeegees are ideal for smooth-coated concrete floors while heavy-duty WaterWand squeegees easily remove water from uneven surfaces like grouted tile. Find brush/squeegee combinations as well as general purpose squeegee tools for lighter jobs. Your custodians will work faster, safer, and more productively than ever with these powerful tools. Clean your grills and hot cooking surfaces even more deeply with purpose built griddle squeegees. These tools are designed for large, flat surfaces and exposure to high temperatures. Enable your chefs to focus on producing delicious, fresh food with a sparkling clean cooking surface. Staff members will have everything they need to properly clean and maintain griddles. Grease buildup and burn residue don't stand a chance against these cleaning tools!